As we wrap up National Volunteer Week, today we’ll meet two more volunteers with very different stories: one is the mom of a child diagnosed with cancer; the other, a researcher who’s devoted her career to early detection of childhood cancers. Both will show us that it doesn’t matter how you get involved – just that your involvement is crucial to the work of the St. Baldrick’s Foundation. 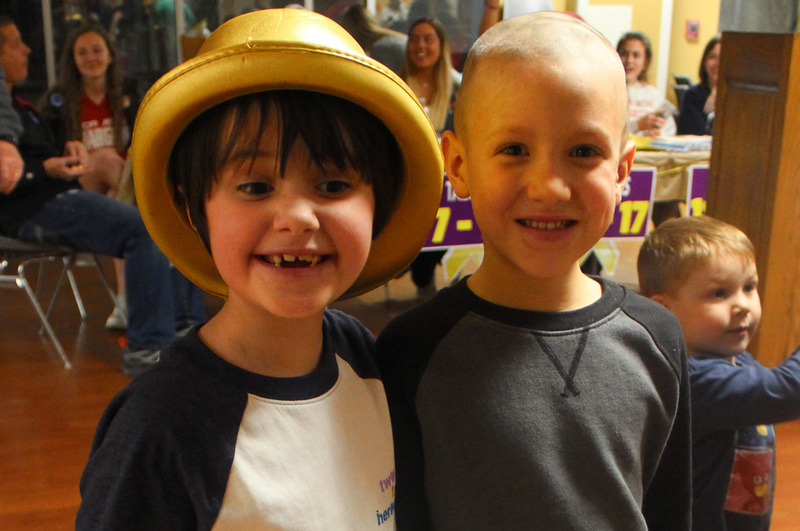 Jessica’s daughter, Mya, and friend Brendan are the faces of “Two Tiny Heroes”. Head-shaving events have been a core part of the St. Baldrick’s fundraising experience for nearly two decades. Today, St. Baldrick’s has funded more than $258 million in grants for childhood cancer research, with much of that money raised through head-shaving events. The research and clinical trials funded by these events have saved kids’ lives. But we need more money to fund research to save lives. Cancer continues to rob kids of their childhoods and, in too many cases, their lives. We simply cannot accept that, worldwide, a child is diagnosed with cancer every two minutes and that, in the U.S., one in five of those kids won’t survive. 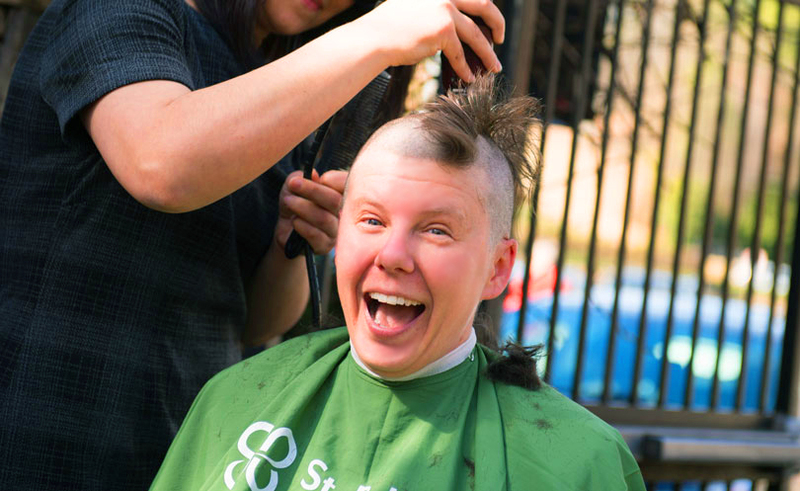 Whether you’re new to the St. Baldrick’s Foundation or a seasoned fundraising pro, we know that our signature head-shaving events might not be for everyone. Did you know there’s another way to join us in the fight against childhood cancer, that doesn’t require you shave your head? Happy October! Fall is here, harvest season is upon us and Halloween is creeping around the corner. It’s the perfect time to help kids with cancer. 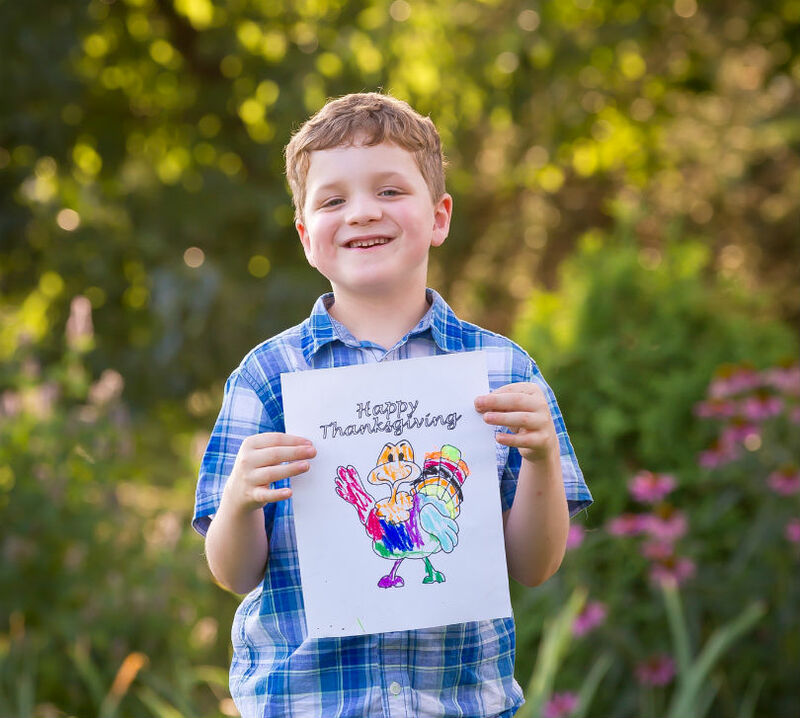 Check out these 10 creative ways to fund childhood cancer research while the leaves are falling. Who loved fall? 2014 Ambassador Alan, that’s who! His favorite holiday was Halloween, because he liked walking around his neighborhood and trick-or-treating. 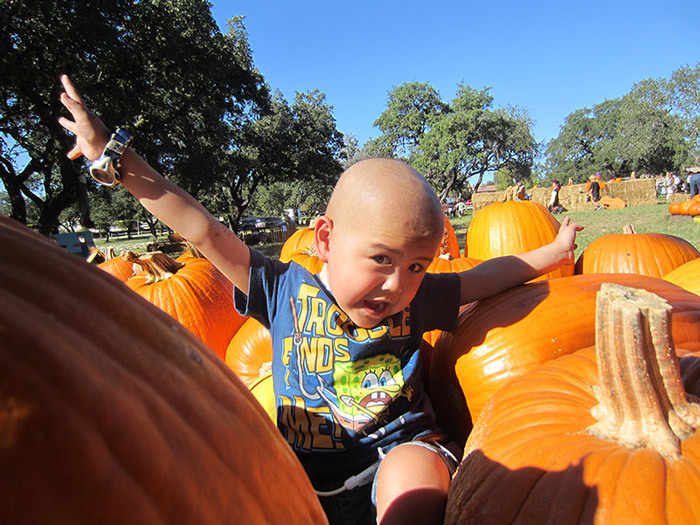 What can you do to help kids with cancer during Alan’s favorite time of year? Read on to find out! That’s right — it’s time to take the plunge and register for a St. Baldrick’s event! Every 2 minutes, a child is diagnosed with cancer. YOU can make a difference for these kids. Be a part of the world’s largest volunteer-powered charity for childhood cancer research. Get involved with a St. Baldrick’s event today! It’s November, and soon we’ll be gathering with family and friends for another Thanksgiving feast. 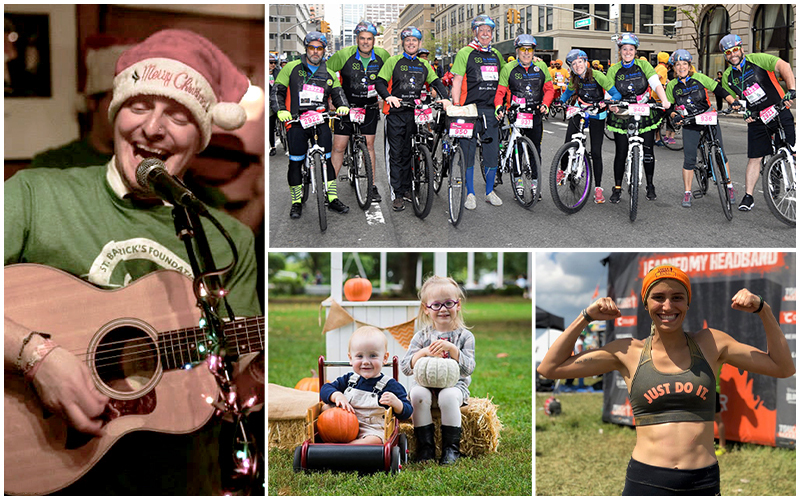 When you’re counting your blessings this year, why not add “lifesaving pediatric cancer research” to the top of your list? 1) Give the Gift of Hope as a Holiday Gift: Instead of holiday gifts to your friends, family, coworkers, or clients, consider making a contribution to St. Baldrick’s on their behalf. After the donation is made, you can send a holiday card to deliver the hope-filled news that you’ve made a gift in their honor to fund lifesaving childhood cancer research. On Saturday night, something magical happened. About 200 people gathered on the CBS backlot in Studio City, California to take childhood back from cancer and to honor a very special boy. Read on for more about this unique Do What You Want fundraiser, its 10-year-old VIP and the surprise that didn’t leave a dry eye in the house. 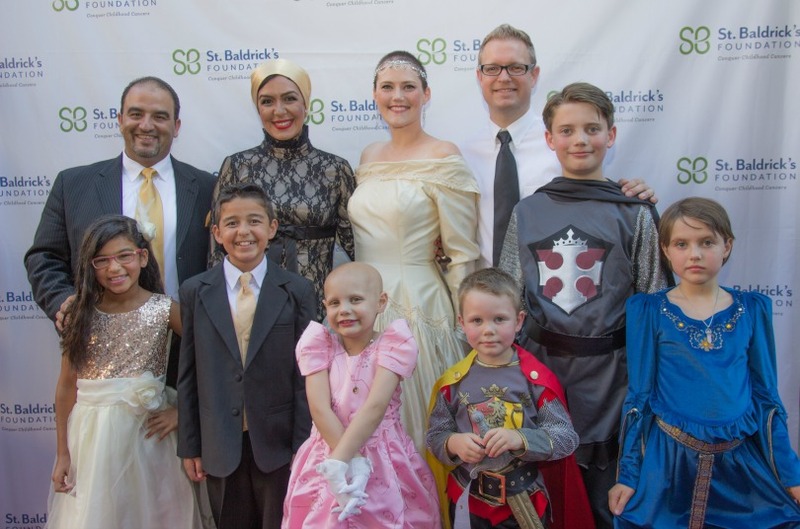 Zein and Hazel’s families pose together at the St. Baldrick’s Ever After Ball. Lauren (on top, third from left), Hazel’s mom, organized the event. It all started with a red carpet. What goes together like hot summer days and peanuts? Like the smell of freshly cut grass and the crack of a bat? Like catchy jingles and the 7th inning stretch? Baseball and St. Baldrick’s, of course! 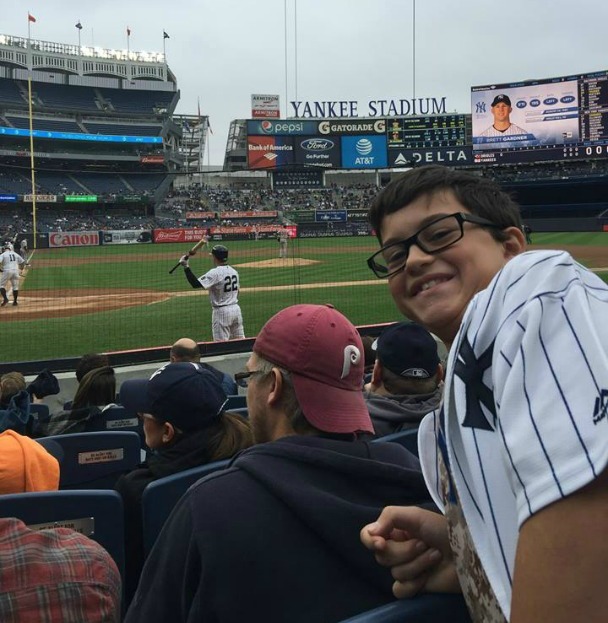 Meet Adam, the 12-year-old baseball fan behind a unique fundraiser for kids’ cancer research. Adam watches his favorite team, the New York Yankees, play at Yankee Stadium. For as long as he can remember, Adam has loved baseball. He started playing tee-ball as a tyke and now plays third base, which is the perfect fit for his lightning reflexes and strong throwing arm. What employees would donate their vacation hours to find cures for kids’ cancers? What about shave their heads? Or throw a big party to rake in funding for research? Blackhawk Network employees, that’s who! Read on for more about the company, its commitment to St. Baldrick’s and how they give back in creative ways. Blackhawk Network is well known for being the company behind the gift cards we see at the grocery store and the ones we get on our birthdays. But Blackhawk is about more than just helping people both gift and pay easily — the company is also about paying it forward, especially when it comes to kids’ cancer research. It’s National Volunteer Week and at St. Baldrick’s we have a lot of reasons to celebrate — like nearly 45,000 reasons! (Yep, that’s how many people volunteered for St. Baldrick’s this year and we love them ALL!) 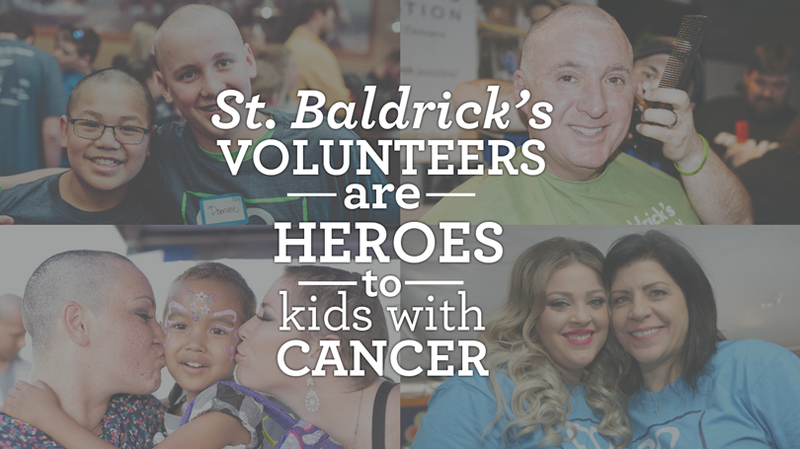 From team captains to barbers to shavees to VEOs and beyond— St. Baldrick’s is volunteer-powered and proud. Why do our incredible volunteers do what they do? Find out from three of our heroes!